amethyst wrote: And I REALLY don't understand what's so funny about Alice's vision. I thought it was beautiful and Rob was JUST Edward. I was so freaked out. And Kristen looked beautiful. Though I do agree when others have said that the vision should've just been Bella sparkling because Edward and Bella running (although an amazing scene) didn't really quite fit with the current scene. It felt out of place. I kinda forgot about that part. I thought it was strange too... but then I thought about it. Honestly, it made me think of the first run that Bella and Edward have when she's turned. It's not the dress that Alice puts her in, but it makes me think "Alice dressed her." All too true for what happens, considering Bella wonders what Alice was thinking putting her in such a dress and heels. It was a dumbed down version of that, in my opinion, so it didn't bother me at all. Location: In Edawrd's protecting arms.. So as a person who was on this board for months ranting about how much I HATED Twilight, I'm glad to be here now loving New Moon. 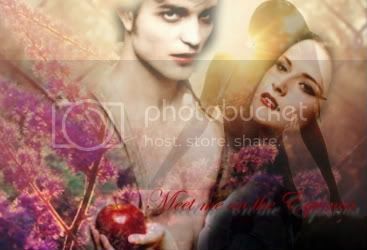 Twilight for me did not capture the Bella and Edward chemistry and I saw that some people don't understand why this is. For me, the movie was rushed. There wasn't anything cute and there wasn't a moment (like the meadow scene) where I could say "Thats where they fell in love." It seemed too much like they meet, they obsess, they love, there's a tragedy, it's fixed, the end. New Moon on the other hand was exactly what I could have hoped it would be. I think it helped the movie that they took away a lot of Bella's depression. She wasn't avoiding every thought of them like she does in the book since she was writing to Alice in order to portray how she was doing. They didn't emphasize that Bella is broken and they didn't have her holding her arm across her chest as much to hold herself together. where love was defined in simpler ways. One plue one equals two.."
I agree, I missed that too. When she was in pain because Jake wasn't her friend anymore. I also wish in the scene where Bella and Jacob was in the car when she said, "You're just warn, like the sun." I wish she added "My personal sun." But I guess that's pretty minor. Also wished they skipped the preface of the book (they pretty much showed the ending of the movie showing her run in Voltera) and added the Valentine's day scene with Jacob. When he gave her conversational hearts. Otherwise, (aside from the cheesy Alice vision) I thought it was pretty close to the book. I hope they show Jake give Bella the bracelet in the grad party in Eclipse... that's a MUST!!! i didn't bother me at all either. I definitely agree that Kristen and Robert had a great chemistry in this movie. I don't know why people are so critical about these movies, I think they all should chill a bit. It's just a book adaptation after all, they can't all be satisfied all the time! I personally think that the director did an awesome job, I really enjoyed it and can't wait to buy the DVD when it comes out! The book itself doesn't have much plot to begin with, so these movies were pretty tricky to adapt as script. I hate it when ultra crazy fans whine about Edward's lack of abs or Bella's blinking.....or something else completely stupid and unimportant! tinuviel2006 wrote: I definitely agree that Kristen and Robert had a great chemistry in this movie. I don't know why people are so critical about these movies, I think they all should chill a bit. It's just a book adaptation after all, they can't all be satisfied all the time! I personally think that the director did an awesome job, I really enjoyed it and can't wait to buy the DVD when it comes out! The book itself doesn't have much plot to begin with, so these movies were pretty tricky to adapt as script. I loved Twilight for what it was. New Moon took all that and multiplied it by 1000. I had a few issues, but overall minor ones as well. Mostly, missing lines or missing parts of lines that I thought were huge ommissions. I guess I should not be shocked. Despite a much better turn, Melissa Rosenburg still demonstrates a lack of understanding of what is important. And, IMO, she demonstrates a total leaning to Team Jacob, which really isn't fair. The most glaring ommission; in the woods, when Edward says, "I'm here until she orders me away." Bella SHOULD SAY, "That's never going to happen," or something along those lines. She assures Edward. That was GLARINGLY absent from the movie, particularly given the fact that she then tells Jacob she loves him (something it took her a movie and then some to work up to with Edward) I'm pretty pissed that they played it out that way, though I do understand why. I just wish they hadn't crossed that particular bridge yet, at least have her qualify it, something... anything. Yes, she loves Jake. Of this we are all aware. But, honestly, Bella is not that fickle. Overall, I absolutely adored this movie. I am so happy with 99% of Chris Weitz' directorial decisions *coughVolvocough* and the acting was totally superb. Standouts for me were Rob and Billy Burke, with Kristen and Taylor definitely right there at the top. Favorite scene: Hands down, the glimpse of Edward in Brazil. That Chris Weitz included that scene was pure brilliance and a total nod to the fans. And, Rob in that scene literally shattered my heart. ^^^ Unfortunately I don't think Chris had any say in the Volvo. That would have to do with the Powers That Be and is completely backed up by dollar signs. 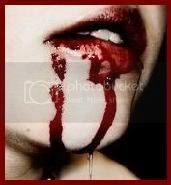 Jazz Girl wrote: The most glaring ommission; in the woods, when Edward says, "I'm here until she orders me away." Bella SHOULD SAY, "That's never going to happen," or something along those lines. She assures Edward. That was GLARINGLY absent from the movie, particularly given the fact that she then tells Jacob she loves him (something it took her a movie and then some to work up to with Edward) I'm pretty pissed that they played it out that way, though I do understand why. I just wish they hadn't crossed that particular bridge yet, at least have her qualify it, something... anything. Yes, she loves Jake. Of this we are all aware. But, honestly, Bella is not that fickle. I agree that that line was quite obvious in it's absence, for those of us who've read. However, I thought she made it up nicely by saying "It's him. It's always been him." Plus, I didn't get the feel that her "I love you" was a romantic one. I tell my friends I love them. Even in high school I did, and to my closest male friend. It was more of a "You're important to me; I care about you, but..."